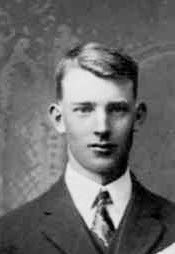 (Witness) Fact 1 Percy Sparling Doupe witnessed the Fact 1 of Amos Doupe; Family of Amos Doupe and Mary Ann Switzer of Wetaskiwin, Alberta. 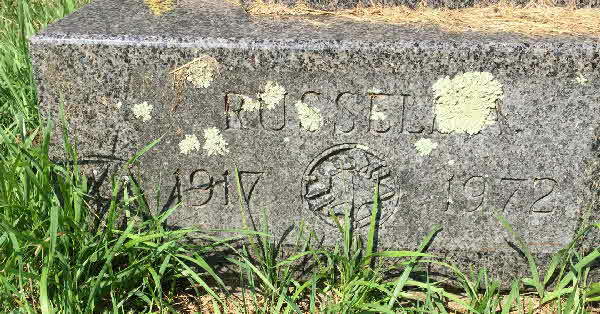 Burial* He was buried in Forest Home Cemetery, Ponoka, Alberta, Canada. [S47] Unknown author, "E-Mail Message," e-mail message from \ (unknown address) to unknown recipient, E-mail message from Lorraine Doupe, Nov. 29, 2016. 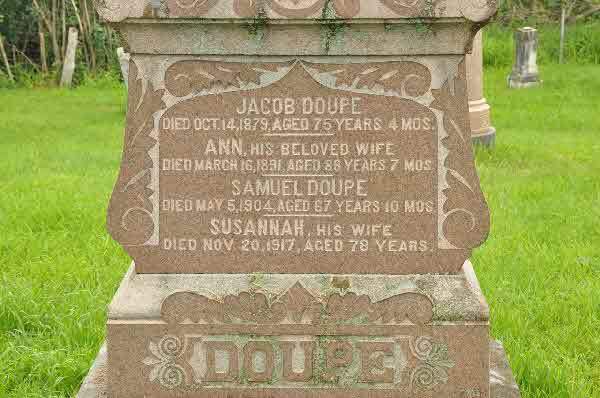 Death* Rachel Doupe died on 23 March 1904 in Flesherton, Grey County, Ontario, Canada, at age 84; Mrs. Rachel Doupe, the aged partner of Mr. Charles Doupe of this township, passed away on Wednesday of last week at the home of her son, Mr. Ephraim Doupe, west back line, at the age of 84 years. 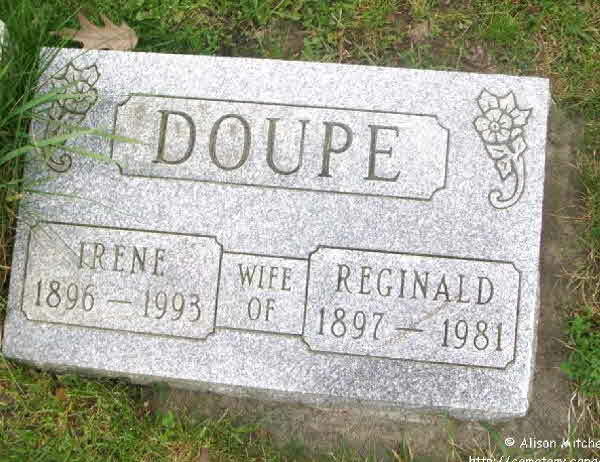 Mrs. Doupe was a native of County Limerick, Ireland. She was twice married, the first time to Nataniel Shier in 1840. 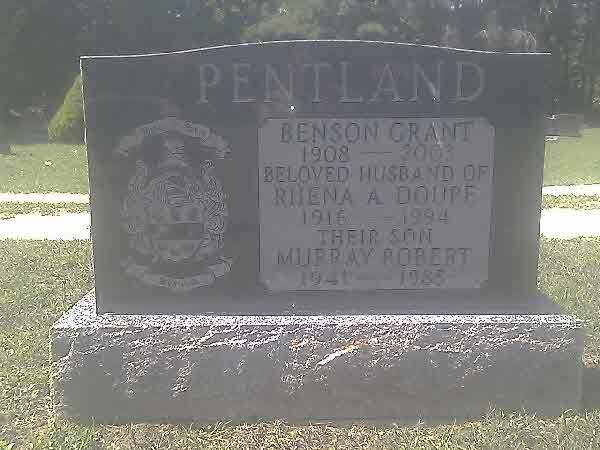 They came to Canada in 1849, settling in the township of Blanchard. 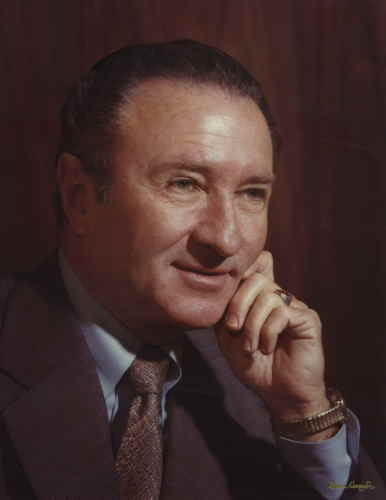 Mr. Shier died two weeks after his arrival in this country. 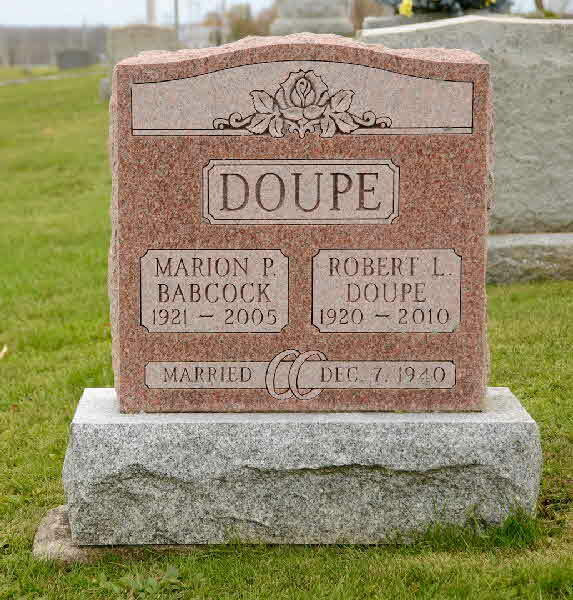 The second marriage was contracted with Mr. Charles Doupe, who survives her. A few years after this second marriage the family moved to Egremont township in the year 1858, where they remained until 1874. In that year they came to Artemesia and have been highly respected residents of this township for the past 29 years. 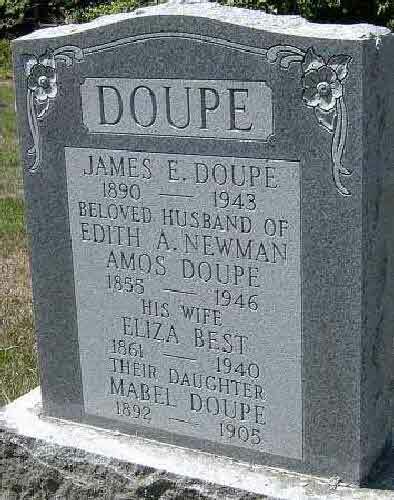 Mrs. Doupe was converted when sixteen years of age and joined the Methodist church, of which she has remained a steadfast member until the time of her death. While living in Blanchard her house was used for four years in which to hold church services and Sunday school. 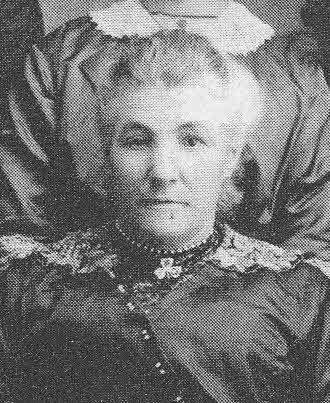 While in Egremont for three years her home was used for a like purpose and also as the home of the minister until a parsonage could be erected. 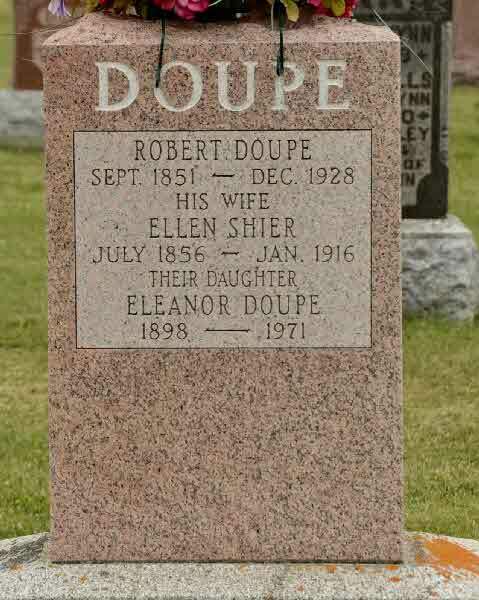 Mrs. Doupe had a family of five children by her first husband, of whom the following are living: Samuel Shier of Cedarville, Francis of Portlaw and Mrs. Robert Kennedy, Toronto. 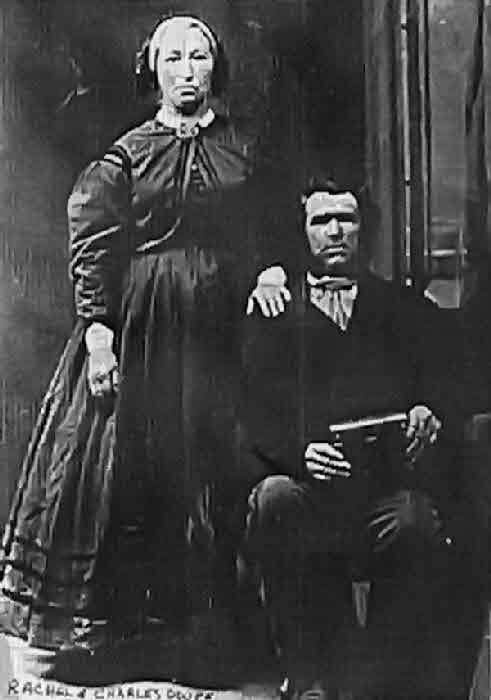 The second family are all living as follows: Sidney and Amos of New Ontario, Mrs. Robt. 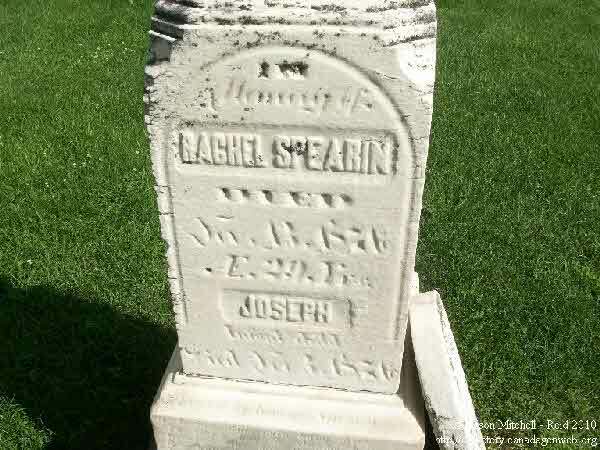 Best, near Flesherton; Mrs. W. J. Spence of Toronto, and Ephraim on the old homestead. Ripe and full of years, the deceased lady has passed to her reward.The funeral took place at Flesherton cemetery on Friday afternoon, when the funeral service was conducted by her pastor, Rev. Ivison Wilson of Flesherton Methodist Church. Burial* She was buried in St. Mary's Cemetery, Section C, St. Mary's, Perth County, Ontario, Canada. 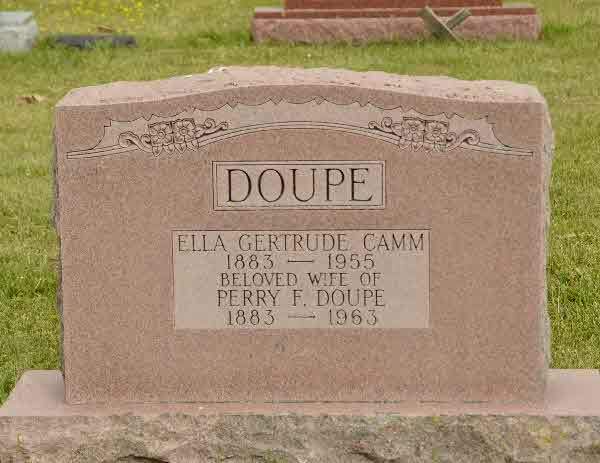 (Witness) Census Rachel Emmaline Doupe appeared on the census of 1916 in the household of Jesse Martin Smith in Souris, Brandon District, Manitoba, Canada. Burial* She was buried in Harley Twp. Cemetery, District of Nipissing (Now District of Timiskaming), Ontario, Canada. 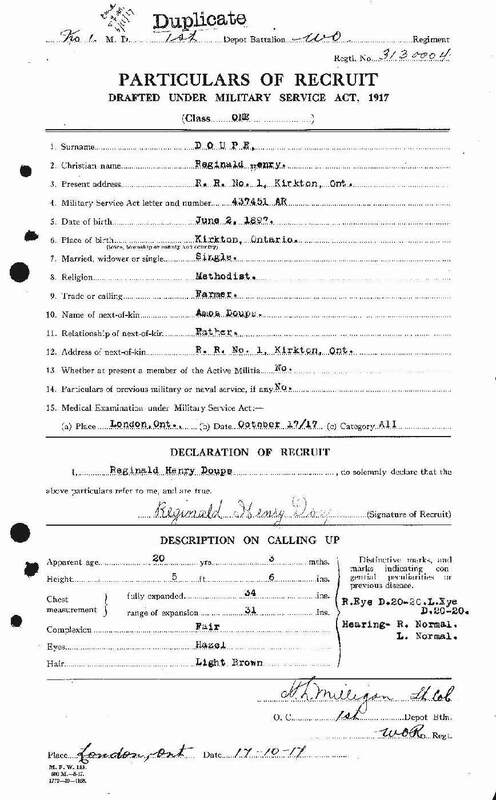 Milit-Beg* Reginald Henry Doupe began military service on 17 October 1917 in London, Middlesex County, Ontario, Canada. (Witness) Fact 1 Rhena Amelia Doupe witnessed the Fact 1 of Stewart Theodore Doupe in 1960; Family Photo taken at family picnic in 1960. 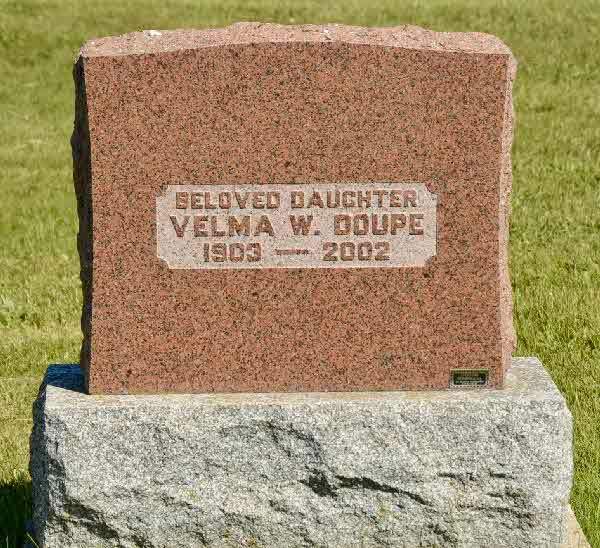 Burial* She was buried in Dungannon Cemetery, Huron County, Ontario, Canada. 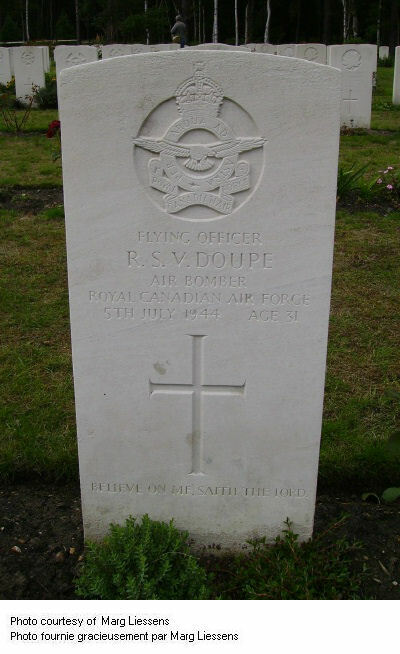 Burial* He was buried in Brookwood Military Cemetery, Surrey, England; Grave 52. B. 3. 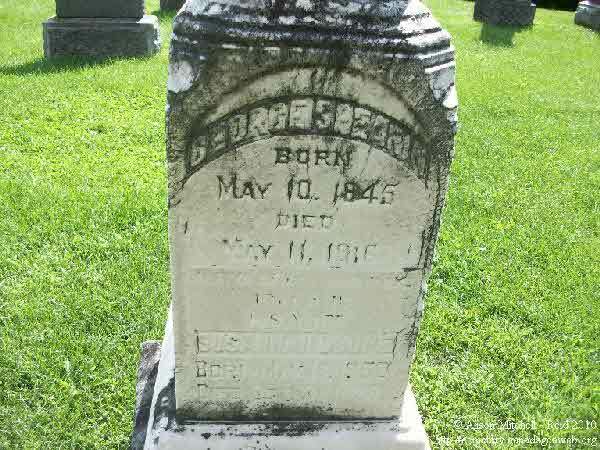 His name was also engraved in his great uncle and aunt's headstone in Kirkton Union Cemetery, Usborne Twp., Huron County. 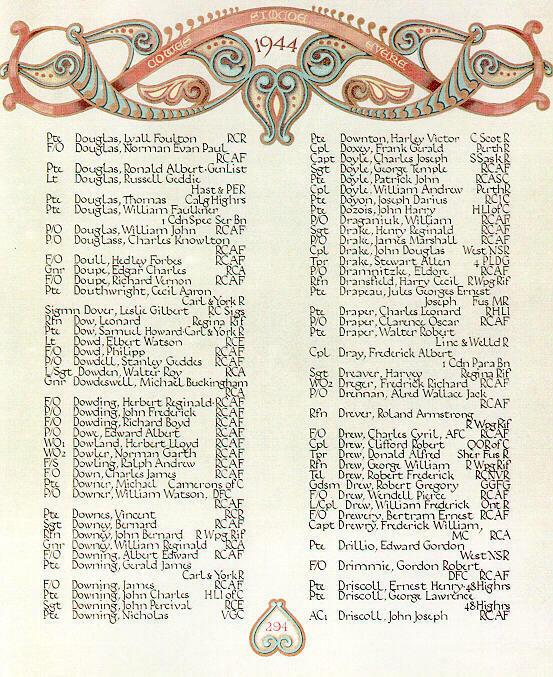 Fact 1* Richard S. Vernon Doupe is remembered on Page 294 of the Second World War Book of remembrance in the Peace Tower in Ottawa, Canada. 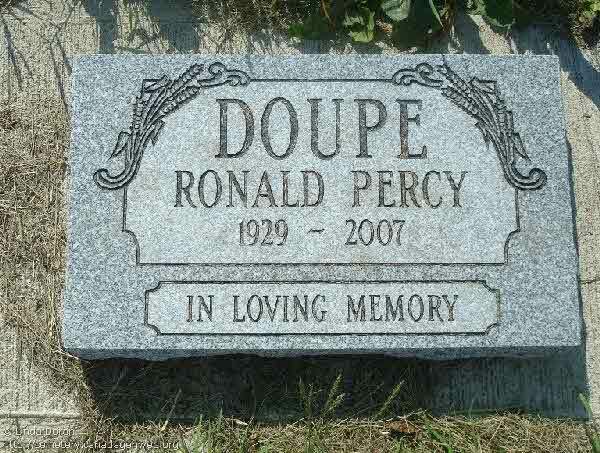 Death* Roger D. Doupe died on 28 June 2016 in Lafayette, New York, United States, at age 72; Roger D. Doupe, 72, of Lafayette, passed away June 28, 2016. He was born in Syracuse and was employed as a body mechanic. He was predeceased by his brothers, Michael and Mark. 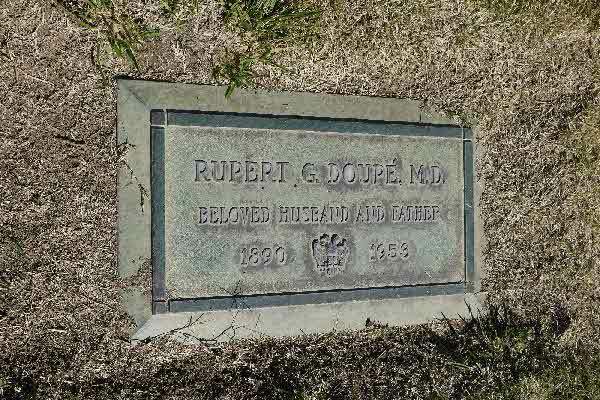 He is survived by his beloved wife, Jean (Thayer) Doupe; his children, Richie (Christine), Marie (Steve), Sherry (Gary) and John (Dolly); seven grandchildren; nine great grandchildren; his siblings, Jackie, Richie, Bruce, Brad, Bobby, Billy, David, Nancy and Cathy. A Celebration of Roger's Life will be held Saturday July 2nd at 1 p.m. at the Apple Festival Grounds, Rt. 20., Lafayette, NY. 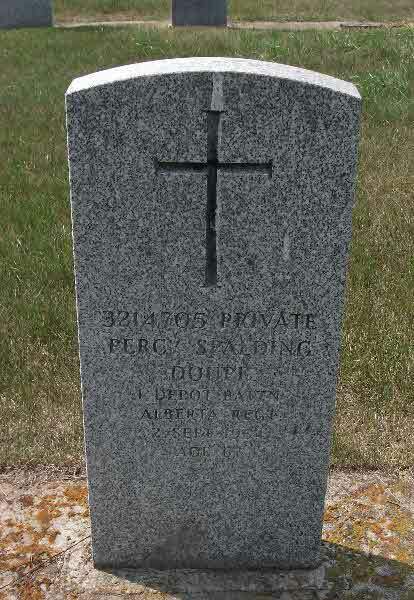 Burial* He was buried in Dakota United Cemetery, Ponoka, Alberta, Canada. 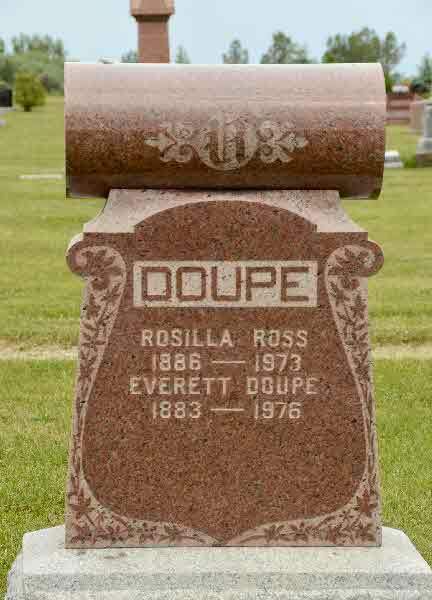 Birth* Rosetta Doupe was born on 15 March 1902 in District of Nipissing, Ontario, Canada. 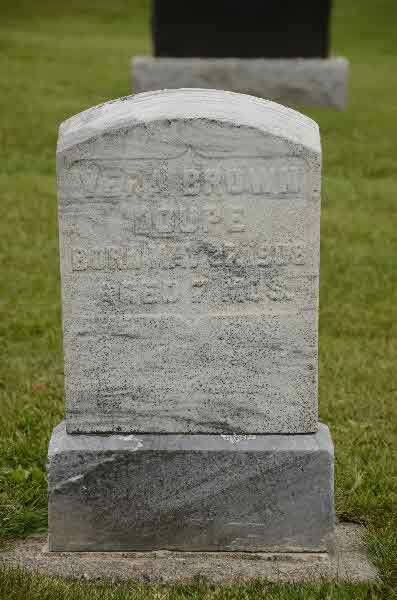 Burial* She was buried in Crediton Cemetery, Crediton, Huron County, Ontario, Canada. 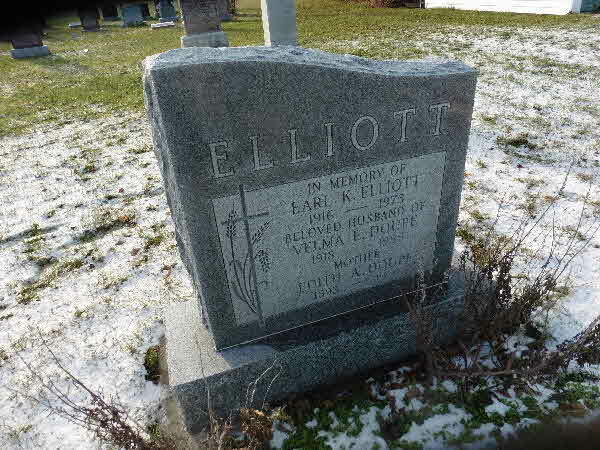 Burial* He was buried in Lewis Cemetery, Preston, Chenango County, New York, United States. 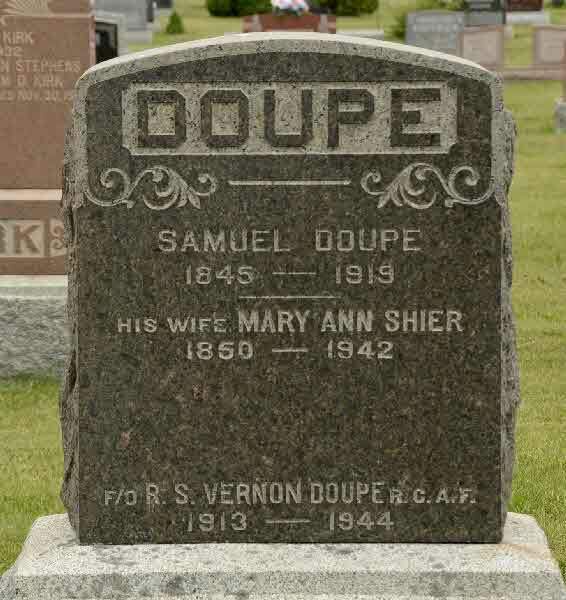 Marriage* Samuel Doupe married Mary Anne Shier, daughter of Adam Shier and Charlotte Switzer, on 12 July 1871 in Usborne Twp., Huron County, Ontario, Canada. 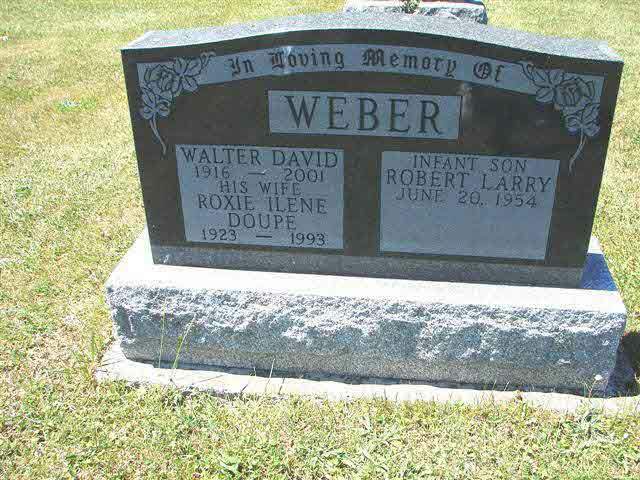 Burial* He was buried in Centerville United Church Cemetery, Centreville, Lennox and Addington County, Ontario, Canada. Fact 1* Family Photo taken at family picnic in 1960. 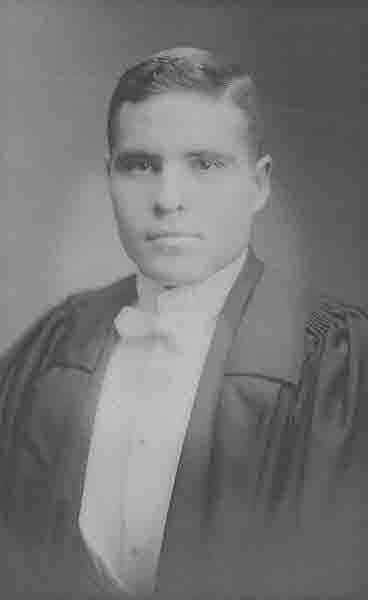 Death* Stewart Theodore Doupe died on 16 February 2017 in Temiskaming Hospital, New Liskeard, District of Timiskaming, Ontario, Canada, at age 88; Stewart, was born in Harley Township on May 20,1928, son of the late James E. and Edith Doupe. 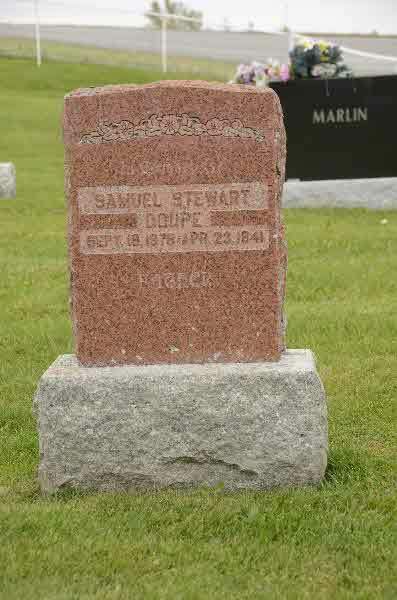 Stewart was predeceased by his first wife Theresa Doupe (nee Manion) in June 1995 and his second wife Eva-Loach Doupe (nee Boyce) in December 2015. Stewart will be sadly missed by sons Grant (Sharon), Brent (Bonnie), and grandchildren Jennifer, Shannon, Jonathan, Mathew, Lindsay, Scott, and two great grandchildren Caroline and Katie. Stewart was very blessed to have the Packards and Loaches as his extended family who were always there for him with their love and support. He is survived by his sister Laura Hobbs, and predeceased by his sisters Rhena Pentland, Velma Elliott and brother Lloyd Doupe. Stewart’s passion was his special little canine friend Mini. 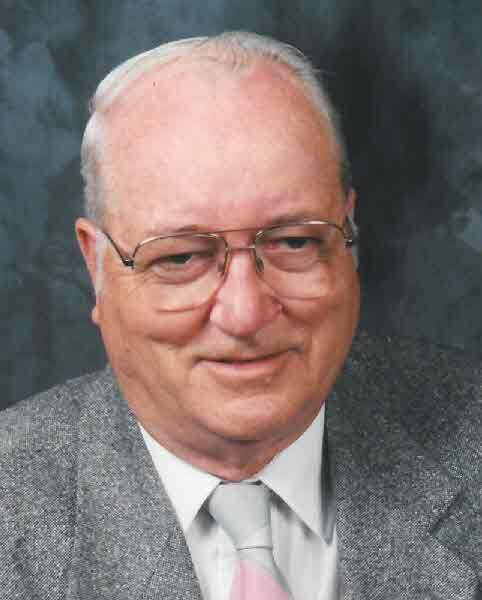 He loved his hobbies which included woodworking and gardening. 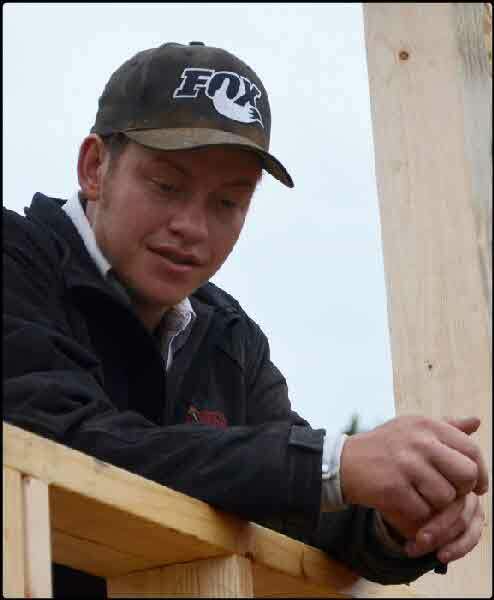 He was a dedicated community volunteer particularly with the New Liskeard Fall Fair and the Salvation Army. Stewart was a helpful neighbor, kind quiet soul, an infinitely patient person, devoted spouse, caring father, good cook, welcoming host, and a fun loving individual . 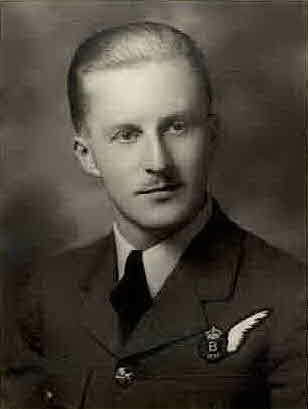 Stewart passed away at the Temiskaming Hospital at the age of 88 after lengthy illness with cancer. The family will receive family and friends on Saturday from 3pm until 5 pm and from 7 pm until 9 pm at the Perrin Funeral Chapel. The funeral service will be held on Sunday, February 19, 2017 at 2 pm from the Salvation Army Church. 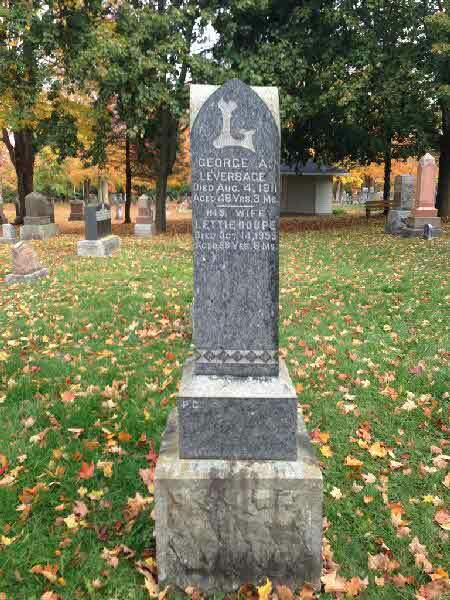 Burial* She was buried in Tamworth Cemetery (Anglican), Tamworth, Lennox and Addington County, Ontario, Canada. [S80] Ireland, Births and Baptisms, 1620 - 1911, online \, Birth/Baptism of Tirza Doupe, daughter of Samuel Doupe and Catherine Shier... FHL FIlm # 879365. [S1] Ancestry.ca, online \Ancestry.ca\, Darius Rogers Family Tree. Hereinafter cited as Ancestry.ca. 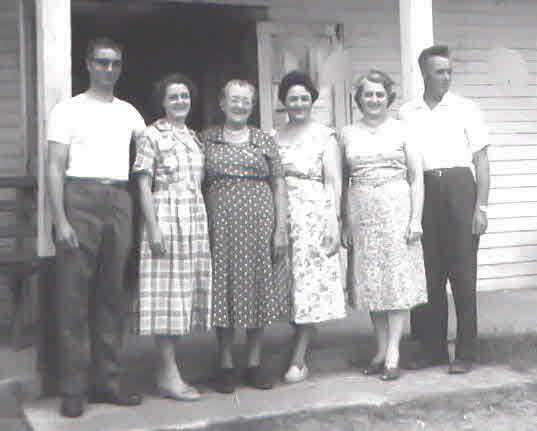 (Witness) Fact 1 Velma E. Doupe witnessed the Fact 1 of Stewart Theodore Doupe in 1960; Family Photo taken at family picnic in 1960. 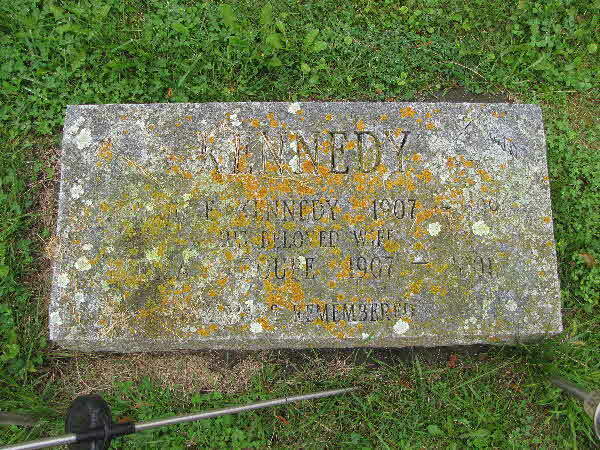 Burial* She was buried in Allenwood Cemetery, Allenwood, Simcoe County, Ontario, Canada.